The company that handles our after-hours maintenance calls, NightTenders, sends out certain maintenance alerts. The most recent was from the US Department of Energy for improved energy efficiency for water heaters that goes into effect as of April 16, 2015. This change will have a substantial impact on the cost of water heaters AND even more importantly the installation. The water heaters will likely be taller AND wider than current models in order to achieve the required energy efficiency. Some manufacturers are suggesting that we could see prices double. This is going to create issues for many properties where the hot water heater is located in a confined or small location. Apartments will have the biggest issues with water heaters in small closets –- this may require drywall, framing and/or HVAC changes. 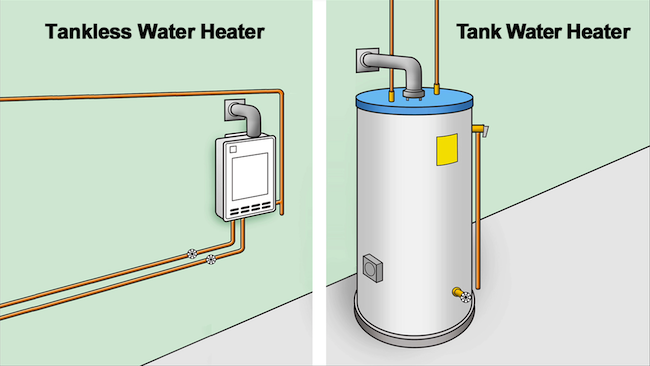 Some people might think installing a tankless water heater will solve the issue but it opens the door for a number of other problems, such as venting, electrical supply, gas usages and gas supply line capacity. You can read more about the legal changes here. Or, most manufacturers (i.e., Rheem, Bradford White, Whirlpool, American, State, etc.) have informational sheets on their web sites.